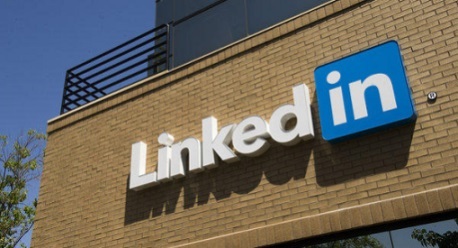 LinkedIn is quickly becoming one of the biggest social media networks in the world. They currently have over 277 million users in more than 200 countries and territories and the numbers continue to grow daily! As the network of professionals grows, so does the opportunity to leverage LinkedIn for your job search! DO take the time to ensure your profile is up-to-date and complete! Make sure that your education history is there along with your professional experience and any other relevant information. Include the list of companies you have worked for but don’t forget to include your years of service, job title, and 5-8 bullet points highlighting your responsibilities and accomplishments for each position. Make your profile heavy with key words relevant to your industry and profession as it will make it easier for recruiters to find you when searching key words. And don’t hesitate to put your contact information in the Summary section of your profile! Putting your phone number and/or email address in this section will put it up front and center so recruiters can contact you directly when they come across your profile, which is especially important if you don’t check you LinkedIn inbox on a regular basis. Having an out-dated picture or one that isn’t professional (i.e. picture from a social event or vacation, one with your kids/pets/etc in it, or a picture that obviously isn’t you such as a logo) may turn off a recruiter who is looking at your profile. LinkedIn is a professional network so show your most professional side and leave the party shots, pictures from your last vacation, or that cute one of you with your toddler to Facebook. These can be a great way to stand out to anyone looking at your profile. Fresh out of school or looking for an internship or co-op? Ask former classmates you worked with on projects to write reviews! When you send the request for the recommendation make sure to personalize the message to that person! You never know – he or she may know of a job out there that would be perfect for you and may not even know you’re looking. These groups are a great way to network with other professionals and many have job boards with opportunities that won’t appear in a general LinkedIn jobs search. DON’T apply for ANY positions on LinkedIn until your profile is complete! There is nothing worse than wasting a recruiter’s time with an incomplete profile that won’t let them fully evaluate your background and experience. Better yet – attach your professional resume to your LinkedIn application which will allow you to target your experience to the specific job! Yes, some companies allow you to quickly apply online through LinkedIn for their job postings but that isn’t an invitation to apply for any job that sounds interesting to you even if you’re not remotely qualified. By doing so, you take away time the recruiter could be using to view the profiles of better qualified candidates and if the tables were turned you would want to make sure the recruiter was giving your profile as much time as possible! Many recruiters are LIONs – which stands for LinkedIn Open Networkers – and are happy to connect with anyone and everyone but many others only connect with people they know personally or professionally. If you decide to send a connection request to a recruiter make sure to personalize the request! The generic message is very impersonal and by writing down 2-3 sentences about why you want to connect can make a world of difference! If you don’t want your current boss or colleagues to know that you are looking! Review all of your privacy settings but take a close look at your activity broadcasts and who can see your activity feed. This is especially important if you’re making a lot of updates to your profile – you don’t want your boss or colleagues that you’re already connected to on LinkedIn to get these activity broadcasts as they will most likely put the pieces together quickly.